Learn English in a week, as promised in some ads, it is impossible. Tune in to hard work. Daily classes are not necessarily only looking through the dictionaries and textbooks. Learning English can be interesting and more effective than simple rote learning. 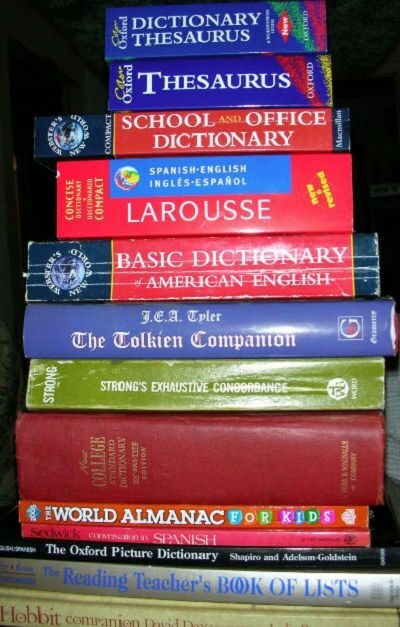 Dictionaries, tutorials, books, literature in English, a book for recording words, a computer with Internet access. Properly motivate yourself. It is better to create for yourself an attractive target, than every day to try to overcome their own laziness. Imagine what you can achieve, owning English. Someone who wants to travel the world, someone draws a prestigious job, someone wants to read Shakespeare in the original, well, someone like a girl-a foreigner and he wants to find with her common language. The possession of other languageom will make you much more interesting person and gives a lot of opportunities. Do not miss them. Start learning English, do not delay "until Monday". Study regularly. To learn English, it is better to do for half an hour every day than four hours twice a week. The language requires constant practice. Learn language now and not leaving the house, but if you don't believe in the power of his own will, it is better to enroll in English. In addition, it organizes classes and money spent not paying lessons will make you harder to get results. Listen to English speech every day. When a baby begins to learn the native language, it first listens to oral speech, then tries to say the words, and then learn their reading and writing. Learning English language is logical in the same way. Listen to English radio, songs on the English language, e audio books, watch movies without translation. Read in English. You can start with books for children or adapted literature. Easily get used to the language ofom helps the method of Ilya Frank. Reading the text the first time, you will not need to look in the dictionary: translation and transcription are given in brackets. Then you read the same passage without translation, to secure the result. Choose books, blogs, articles that interest you: so the assimilation of vocabulary and grammar will go faster. Record in a notebook the new words. To make it better in alphabetical order with examples of usage of learned words. Not only will this allow at any time to revise the learnt, but also activates motor memory. Obscure the nuances of the languageand also you should write to them later to find out from the teacher or find yourself in the textbook. Doing the tutorial, go through all the exercises in order, even if some seem simple. Exercise is needed to fill the gaps in English grammar. To perform the job better in writing. Get a friend who speaks the English languagei.e. Actively communicating via ICQ or Skype, you will be able to learn what others suffer through textbooks and boring assignments. To communicate in English and with Russian friends who also decided to learn the language. If possible, visit a country where English language is the state. After all, the best way to learn a language is to plunge into its atmosphere, to communicate with his direct media.